Is it possible to live with daily struggle, in the midst of circumstance beyond our control, and experience something called "perfect peace"? Many would find the idea ridiculous to even consider. Yet, there is no doubt that we share a universal longing for difficult times to end and for something better to take its place... for peace. 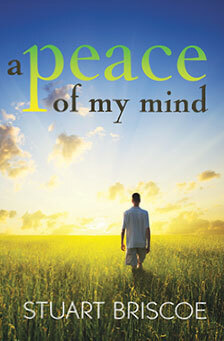 The Bible promises, "Thou wilt keep him in perfect peace whose mind is stayed on thee" (Isaiah 26:3). It's this verse that Stuart explores in A Peace of My Mind. It's a verse that hung on the wall of his childhood home during World War II bomb raids in northern England. And it's the basis for his dive into Scripture to help us fully understand what "perfect peace" looks like, and how we can claim it and experience it in our lives. Successfully added A Peace of My Mind to your cart.